I can be found with OBS Medical today at the Business Design Centre, Islington. We are giving a talk on the TSB funded data study. Yellowcog is one year old today. Thanks to "the three" for mucking in and getting things going. "It's a wrap!". 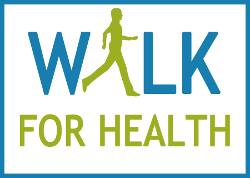 Giving a presentation today to the folks who participated in the Walk(ing) For Health data collection study. Thanks to Derrydown Clinic for putting me in touch with the walkers and to all of those in St Mary Bourne who took part. We ship our biggest order to-date today. It's taken a lot of work and a lot of help but everything is looking perfect. Thanks all!